Are you looking for a way to use some of your end of season Rhubarb?? 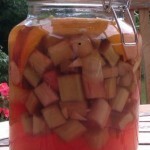 Making rhubarb vodka is a perfect option! 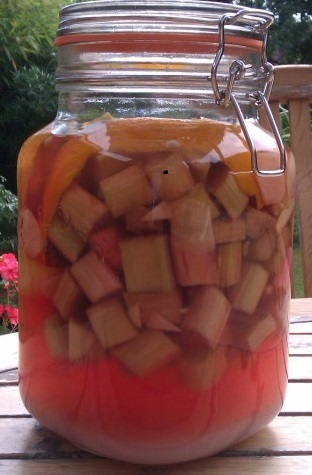 All you need is a Kilner jar, some rhubarb and of course some vodka. Cheap bottom shelf stuff is perfectly suitable! So here is what to do! bottle the strained liqueur and reserve the fruit. It is ready to drink straight away but it will mature with age. The left over fruit is delicious in a crumble or made into jam.